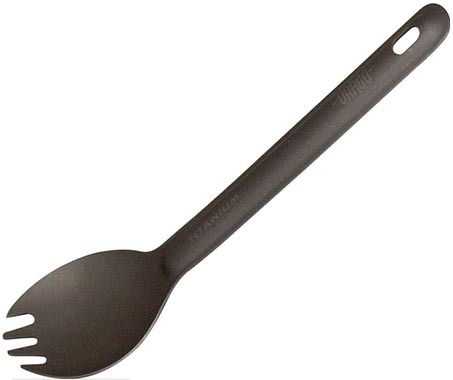 Spork ULV(Ultra Light Version) - 6 1/2" overall. Titanium construction. The spork features an extra wide bowl for great functional use and better eating. Lanyard hole. Weighs: 0.38 oz. Bulk packed. Color: Titanium.